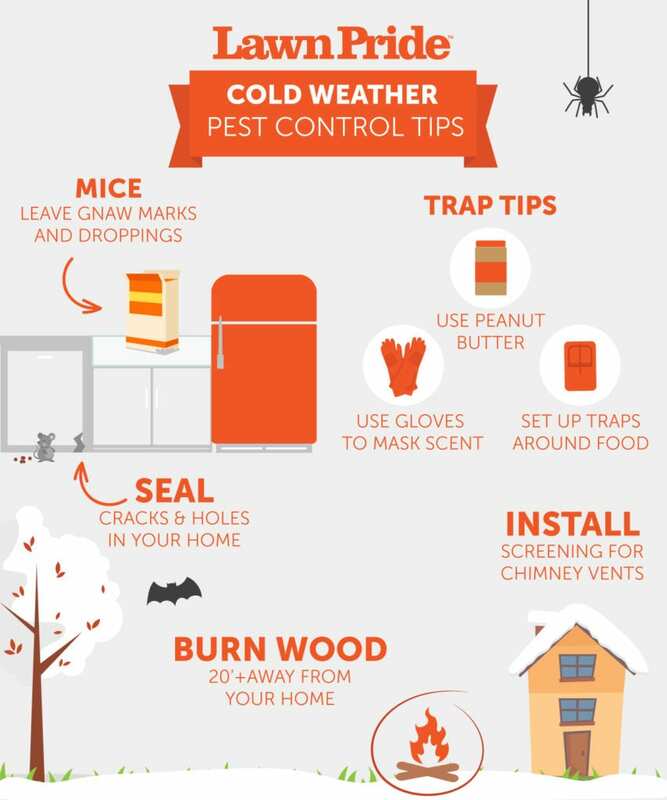 Summer is the season of bugs, but just because winter is here doesn’t mean the pests go away. In fact, the cold weather outside often means you have a better chance of dealing with certain critters inside your home. 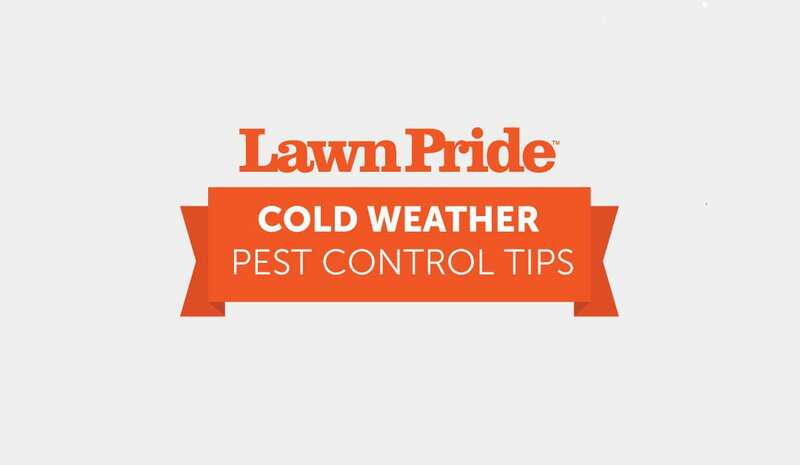 We’ve seen it all at Lawn Pride, so here are a few of our proven tips for preventing common wintertime pests. Few things make us cringe quite like rodents in the house. Mice and their larger cousins the rat can find their way inside any time of the year, but the warmer conditions indoors are ideal for nesting. Speaking of, mice can give birth to up to 10 times a year, usually of five to six babies per litter. Those little ones can start having little ones of their own within a couple months, so ignoring a mouse problem can really add up quickly, and literally. To find mice, look for little gnaw marks on boxes and bags of food (especially cereal), along with little bits of shredded paper and insulation, as well as “runways” – strange narrow paths along walls that are unusually free of dust and debris. Also, keep an eye out for droppings which look like tiny black grains of rice. Set up your preferred mouse traps where evidence of mice exists – in the pantry, behind the fridge, under the sink – and check them often. Use gloves when setting up traps to help block your natural scent. We don’t mind kill traps, but we do suggest not using glue traps. Although effective, they are unnecessarily cruel and it can take a rodent a long, painful time to die. When setting up traps or using poison, remember to consider any pets and/or children in the house, and be sure to keep them safely out of reach. Contrary to popular belief, mice aren’t big fans of cheese. Instead, use peanut butter. Alternatively, you can use nuts, sunflower seeds, or hard candy. Just follow the directions provided by your traps, and again, check them often. If you’re not catching anything after a couple days, try repositioning or moving your traps to other areas of your house. Although mice are most common, we do deal with the occasional squirrel, raccoon, or bat that finds their way indoors when the temperature drops. You can take a few preventative steps on your own now, which will also help protect your home as spring approaches and the weather starts to warm once again. Find and seal cracks, holes, and drafty areas in and outside of your home. Don’t forget the basement, crawlspace, and attic! Use an expanding foam or other material to fully fill in any gaps your might find. If you burn firewood, be sure to store it at least 20 feet from your home. All sorts of animals turn to woodpiles for shelter. The further away the pile is from your home, the further they are, too. Keep food off the ground and properly sealed. For cereals, grains, and other dry goods, consider emptying the contents out of their boxes and into resealable plastic storage containers. Also, keep your pet food area clean and free of debris. Inspect your home’s plumbing. Leaking, clogged pipes attract moisture, which then becomes a water source for rodents, cockroaches, and other nasties. While fixing any minor plumbing issues, remember like we mentioned above to seal any gaps in these typically hard-to-reach places. Replace old and damaged weather stripping, patch holes in screens, add door sweeps, and consider installing storm doors for an added barrier of protection between your home and the outdoors. Install screening for chimney vents, roof vents and exhaust fans, and crawlspace vents. Always keep these spaces well ventilated and dry. Following these steps before and after a pest infestation should help reduce or even eliminate the number of incidents in the future. Still need help? Get in touch with Lawn Pride to learn more about our customizable pest control solutions. We can put together a plan based on your family, home, and budget needs!